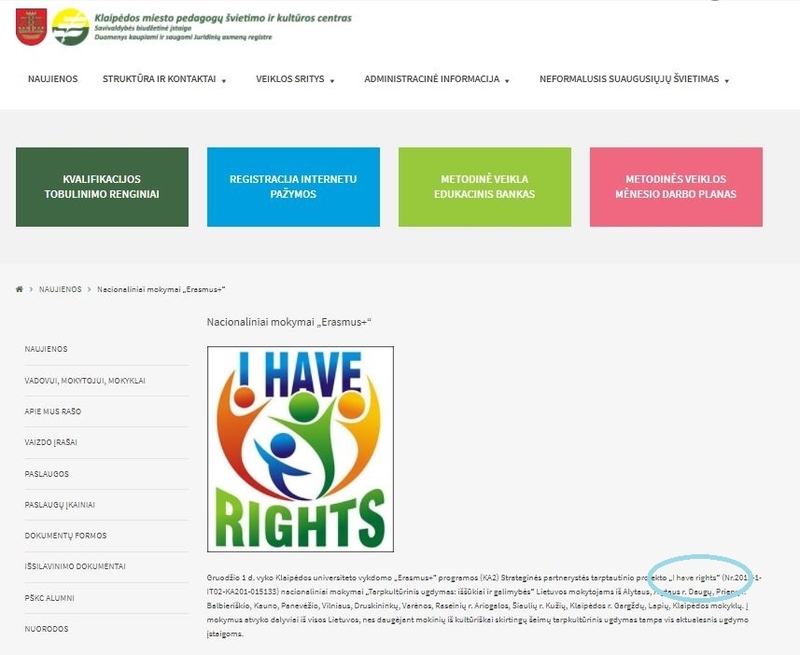 The I Have Rights project was presented to the web masters and a link to the I Have Rights project portal was made so that those who will access the selected web sites can also access, through a direct link, the I Have Rights portal. The Minerva teacher training center was a partner in organizing the multiplier event. It was an important support in the dissemination of the I Have Rights project to the teachers. It was also essential in the selection of teachers who participated in the event.. The Klaipeda Queen’s Luize Youth Centre organizers after school activities for children and youngsters. Activities include theatre, dance, music, fine art, etc. Also the institution promotes creativity of the young people such as exhibitions, performances, cultural changes between youngsters from European countries. The progress and process of the project would be spread at the community – among the teachers and youngsters, also the results would be presented to the citizens by means of Media and discussions. International School ‘Universa Via’ is an only educational institution at Klaipėda, which can offer great educational conditions for Lithuanian and foreign children, who had just arrived to the country. School proceeds bi-lingual educational programme, which includes English-Lithuanian and Lithuanian- English educational programme. At the present moment, there are 98 students from 2.5 to 11 years old from various countries: Norway, Germany, Great Britain etc. 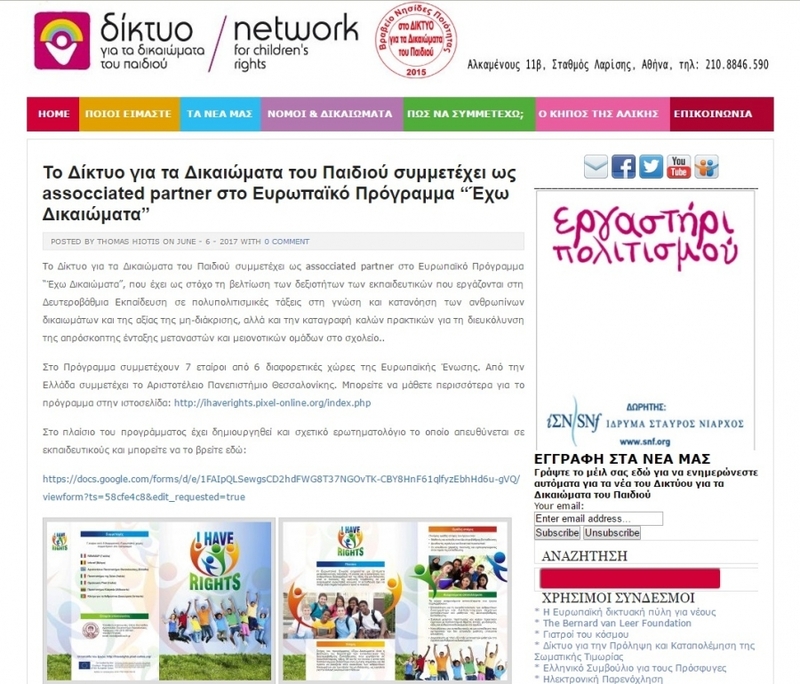 “Rainbow Families Greece” is an associated partner in the I Have Rights project. Its website provides information about the project together with a direct link to the Portal. 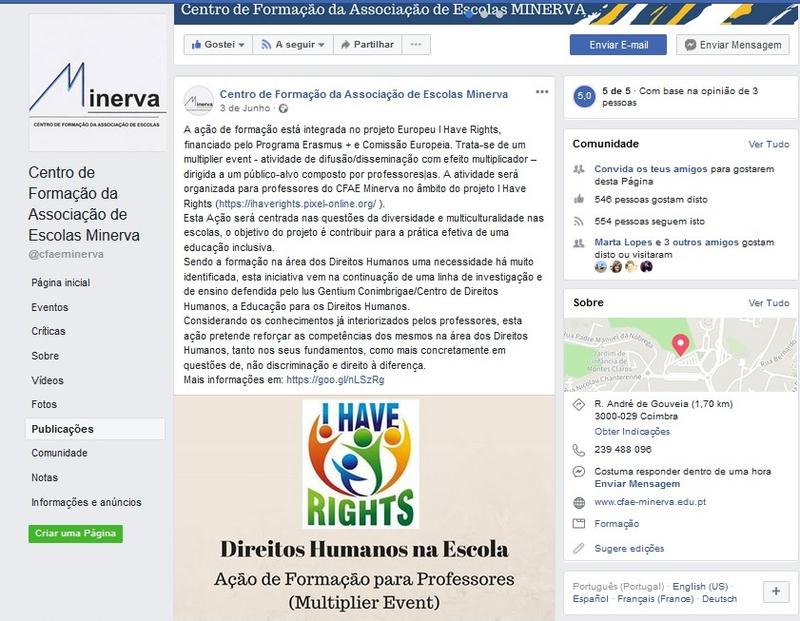 Having a big network of volunteers and followers, a lot of people are expected to learn about the I Have Rights project. 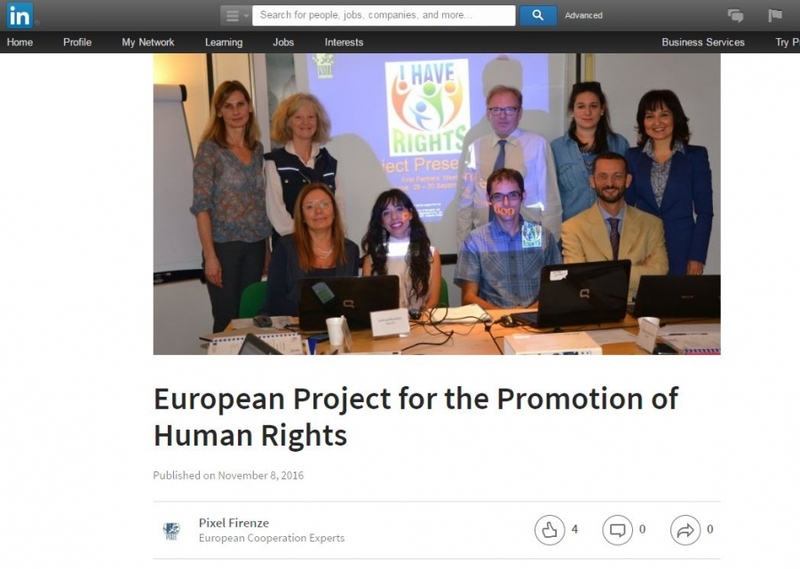 UPC is associated partner in the I Have Rights project. UPC website provides information about the project together with a direct link to the Portal. There are many users of UPC website that may now learn about and benefit from the I Have Rights project. 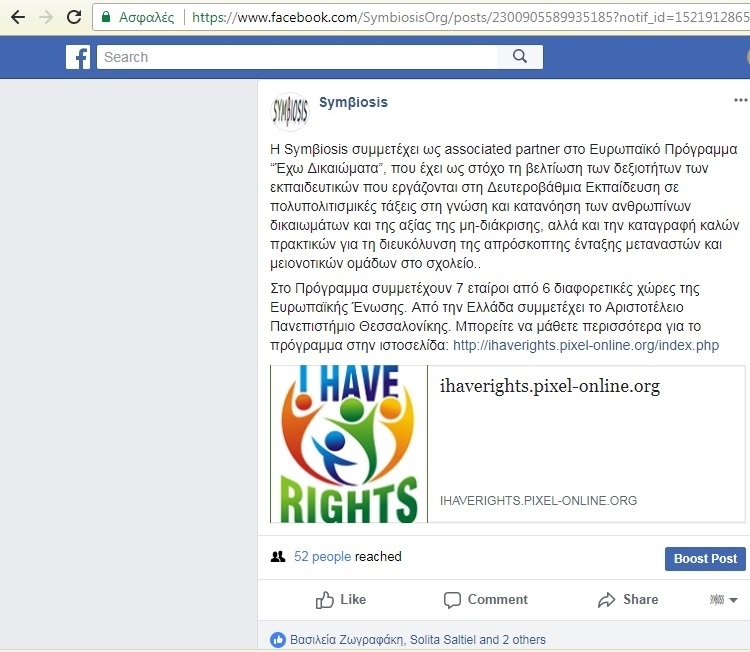 Symbiosis is a new associated partner of Aristotle University in the I Have Rights project. Symbiosis Facebook page shares information about the project together with a direct link to the Portal. 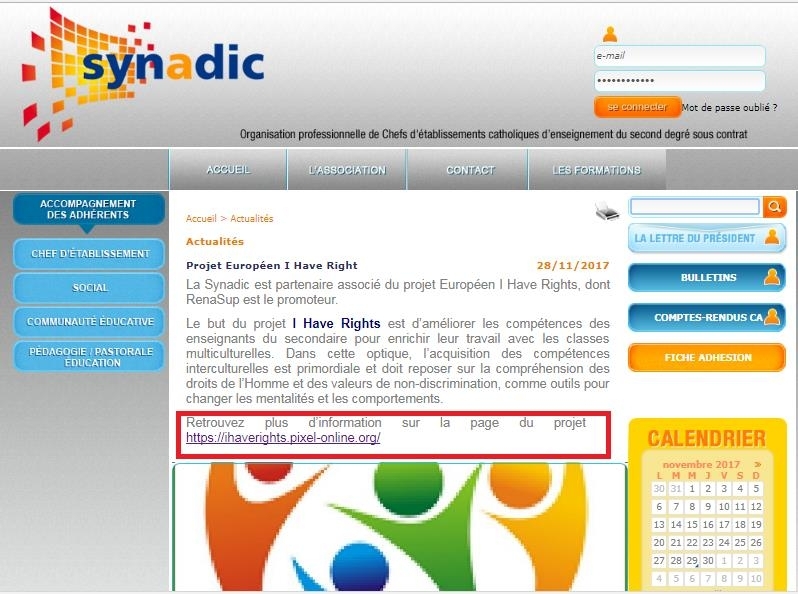 There are many users of Symbiosis’s website that may now learn about and benefit from the I Have Rights project. 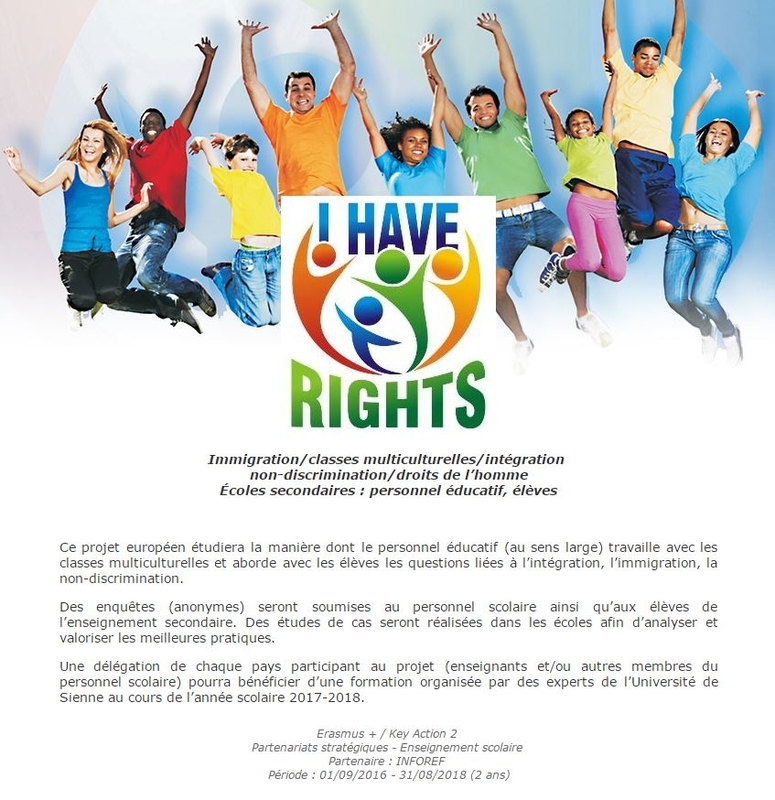 SPA is associated partner in the I Have Rights project. SPA Facebook page posts provides information about the project activities together with a direct link to the Portal. 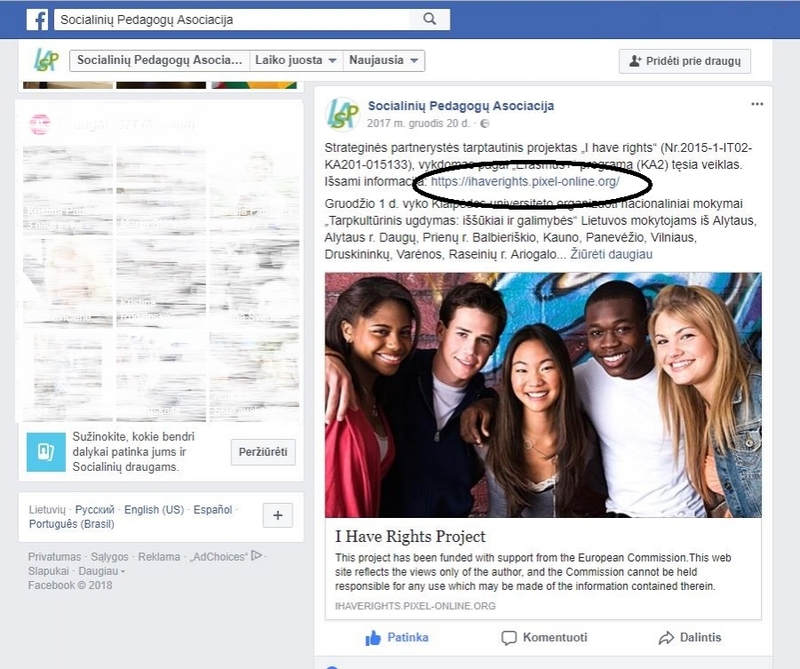 There are many users of SPA website that may now learn about and benefit from the I Have Rights project. KPSKC is associated partner in the I Have Rights project. 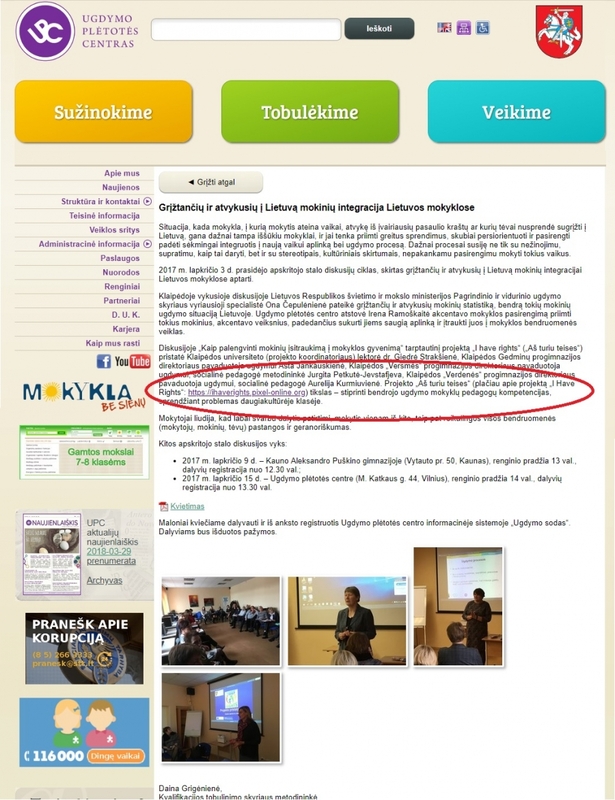 KPSKC website provides information about the project together with a direct link to the Portal. 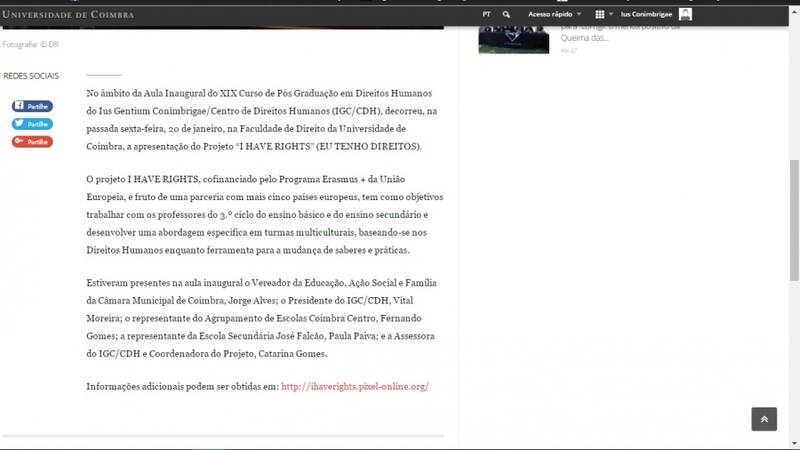 There are many users of KPSKC website that may now learn about and benefit from the I Have Rights project. The Synadic is a professional organisation of heads of Catholic secondary education schools. It is quite popular among heads of schools and teachers of Catholic education. It displays on its website the description of the project as well as the link to the Portal. UGSEL is one of the national organisations of the French Catholic Education. It is an educational sport federation. 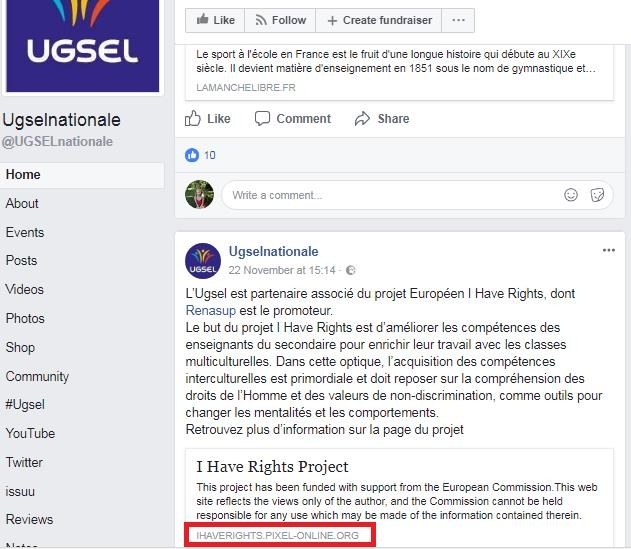 UGSEL decided to publish the Portal link on Facebook since their page is quite popular. The Secrétariat Général de l’Enseignement Catholique is an educational organization. It is the head of the French Catholic education. It displays on its website the description of the project as well as the link to the Portal. The website is very used by people from the Catholic Education, which is quite an important part of French education. 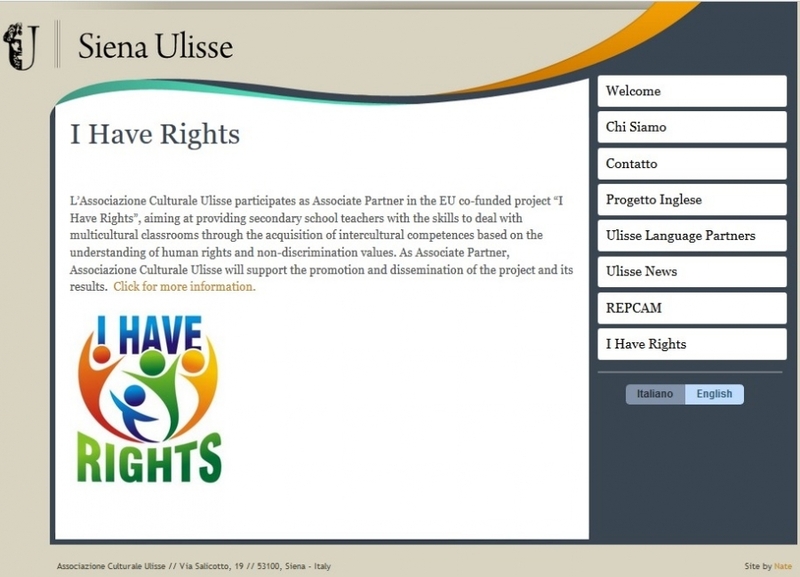 Renasup is a partner in the I Have Rights project. Its website provides information about the project together with a direct link to the Portal and the Facebook page. 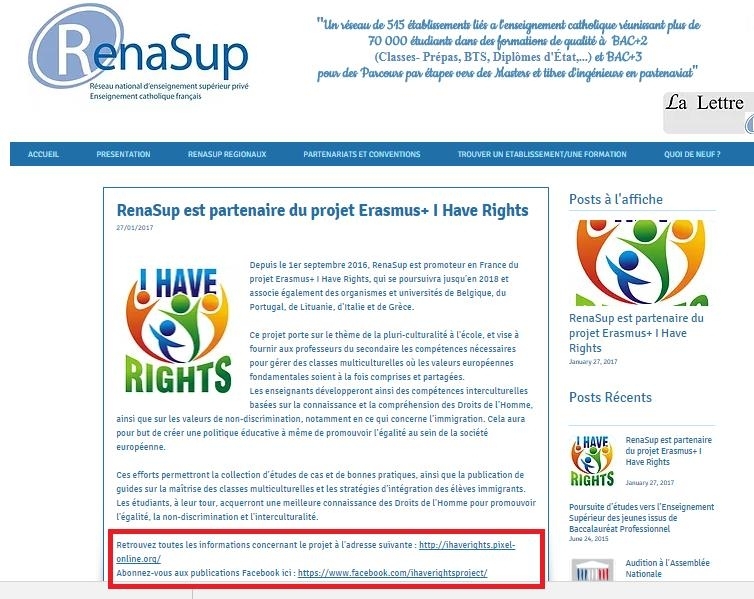 There are many users of Renasup’s website that may now learn about and benefit from the I Have Rights project. VLTF is partner in the I Have Rights project. VLTF website provides information about the project together with a direct link to the Portal. There are many users of VLTF website that may now learn about and benefit from the I Have Rights project. DPJC is associated partner in the I Have Rights project. DPJC website provides information about the project together with a direct link to the Portal. There are many users of DPJC website that may now learn about and benefit from the I Have Rights project. UniSi, partner in IHR, linked IHR to the BRIGHT 2017, Researcher Night in Tuscany, financed by Marie Skłodowska-Curie Actions. Federazione Esperantista Italiana is IHR Associate Partner. Its Newsletter n. 942 (Nova Sento in Rete) issued a text on FEI partnership in IHR. The Newsletter reaches all its members and a large number of people interested in Esperanto as a common language. 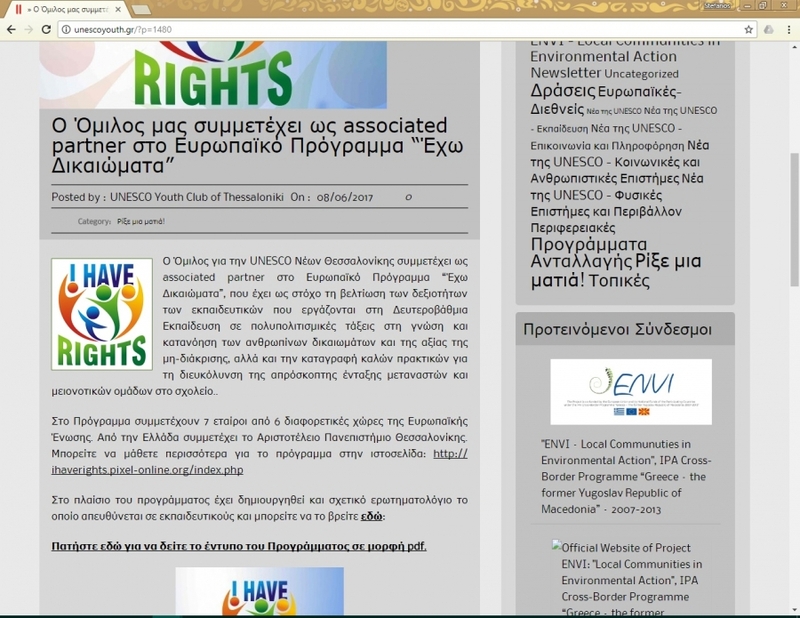 UNESCO Youth Club of Thessaloniki is an associated partner in the I Have Rights project. Its website provides information about the project together with a direct link to the Portal. Having a big network of volunteers and followers, a lot of people are expected to learn about the I Have Rights project. Serres for UNESCO is an associated partner in the I Have Rights project. Its website provides a direct link to the Portal. Having a big network of visitors, a lot of young people are expected to learn about and benefit from the I Have Rights project. 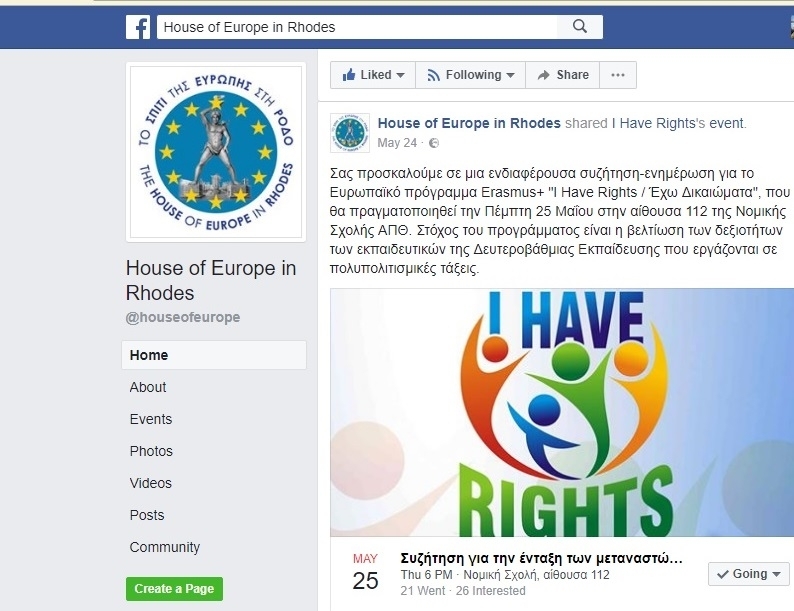 The House of Europe in Rhodes is an associated partner in the I Have Rights project. Its Facebook page provides information about the project together. 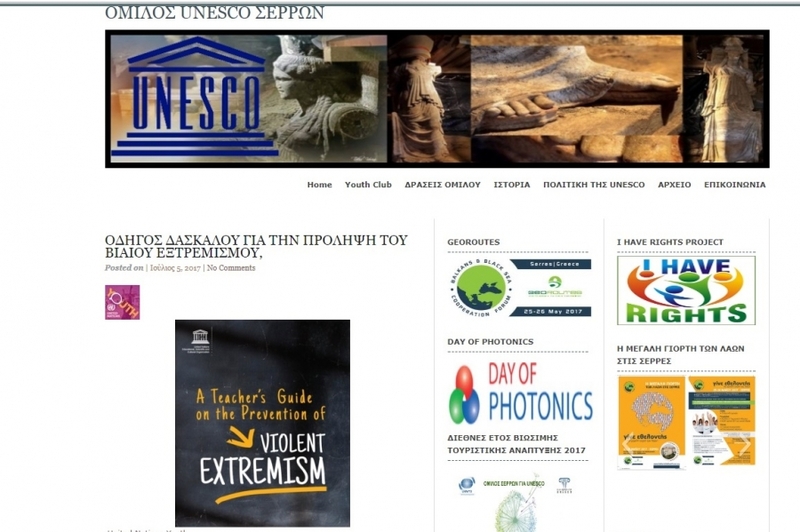 The screenshot shows the promotion of the awareness event for the IHR project that took place in Thessaloniki on May 25th, 2017. Having a big network of followers, a lot of people are expected to learn about and benefit from the I Have Rights project. The Network for Children’s Rights is an associated partner in the I Have Rights project. Its website provides information about the project together with a direct link to the oddslot Portal. A lot of visitors of the Network’s website are expected to learn about and benefit from the I Have Rights project. 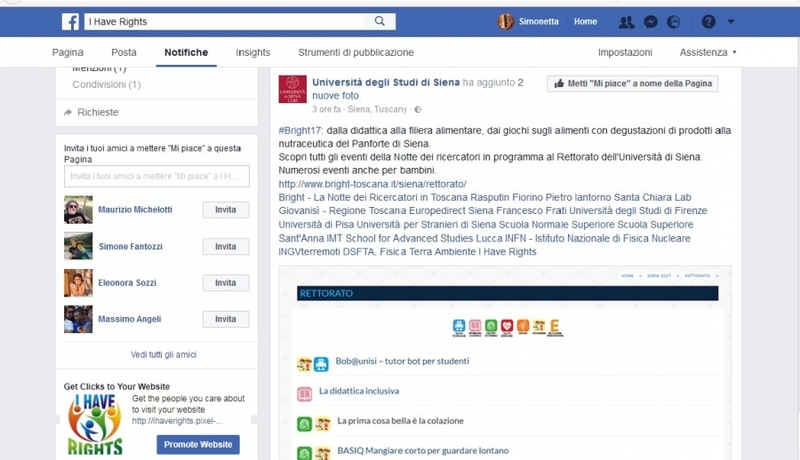 The Europe Direct Information Center is a European project hosted by the Public Relations Office of the University of Siena and works to inform, communicate and train on the issues of the European Union. 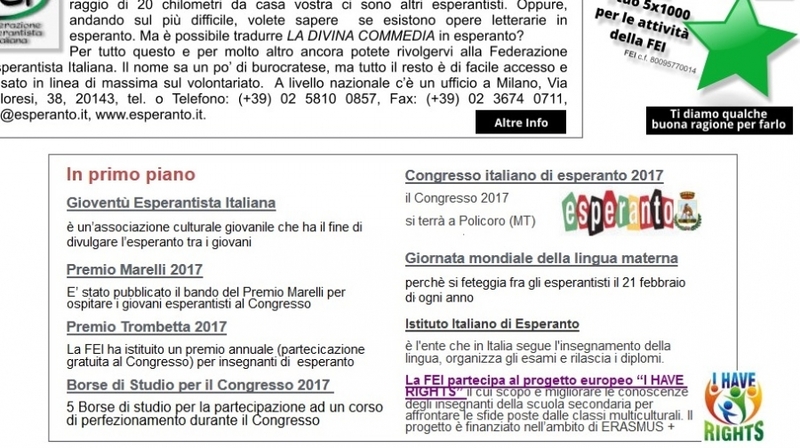 Federazione Esperantista Italiana is IHR Associate Partner. Its homepage has a direct link to the project Portal. Given the aims & goals of FEI (i.e., promoting esperanto as a common language), most visitors of FEI website will find out that IHR matches their interests. 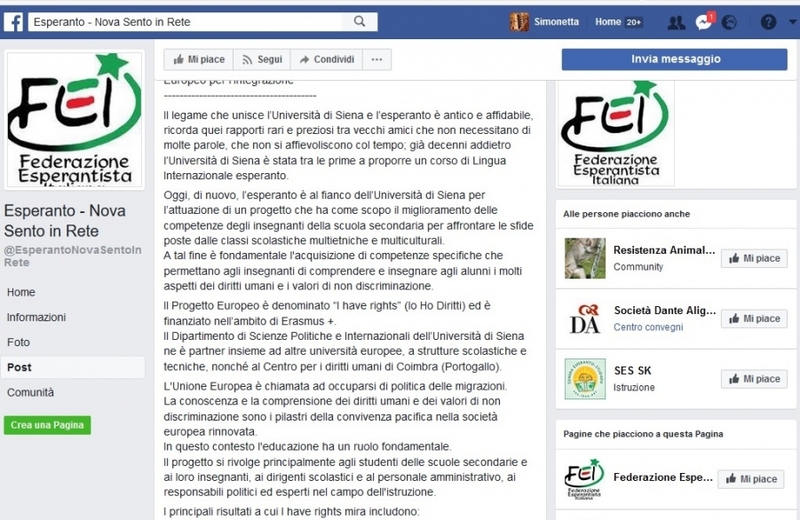 Associazione Ulisse, Siena is IHR Associate Partner of the University of Siena. Associazione Ulisse mission is to promote & facilitate the cultural exchange between Italian & Foreign Students. As a partner in the EUFICCS (European Use of Full-Immersion, Culture, Content, Service) , Associazione Ulisse webpage receives 'hits' from many European countries as well as oversea. This guantees a wide visibility to IHR. 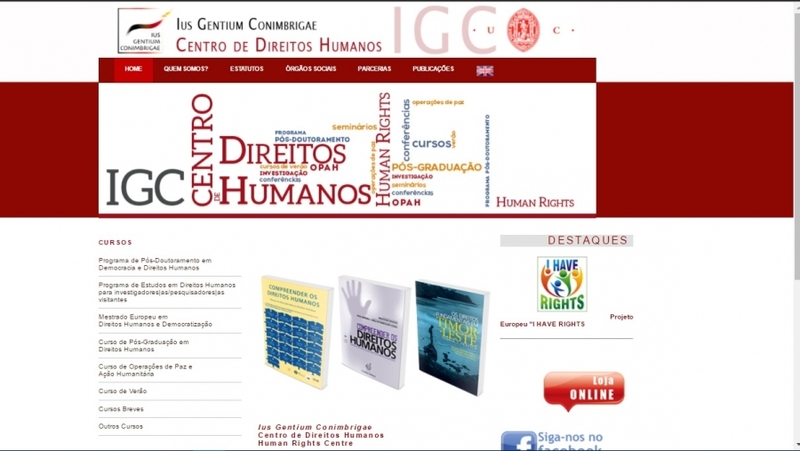 The IHR link has been published on the website of Ius Gentium Conimbrigae – Human Rights Centre. 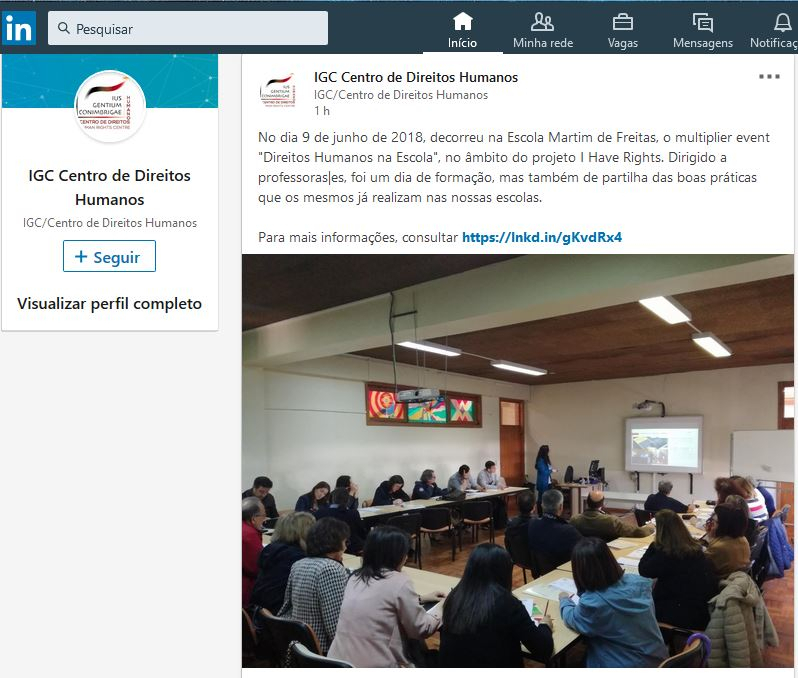 Based at the Faculty of Law of the University of Coimbra, Ius Gentium Conimbrigae, since 2000 also named after Human Rights Centre, was created in 1995. IGC, the first university centre of education and research in the area of Human Rights in Portugal, mainly aims at studying and understanding the contemporary international problems and those that historically are of interest to Portugal and other Portuguese-speaking States, peoples and communities, from a multidisciplinary perspective, though mainly juridical. 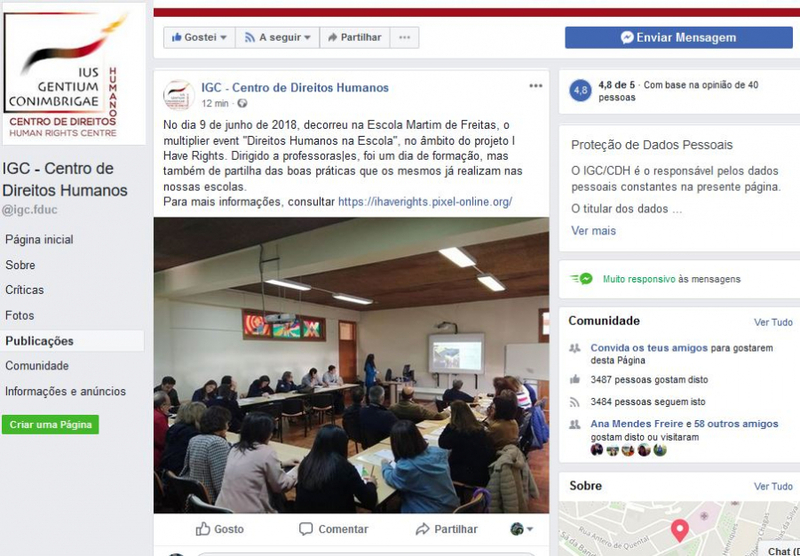 University of Coimbra promoted the IHR project on its official website. 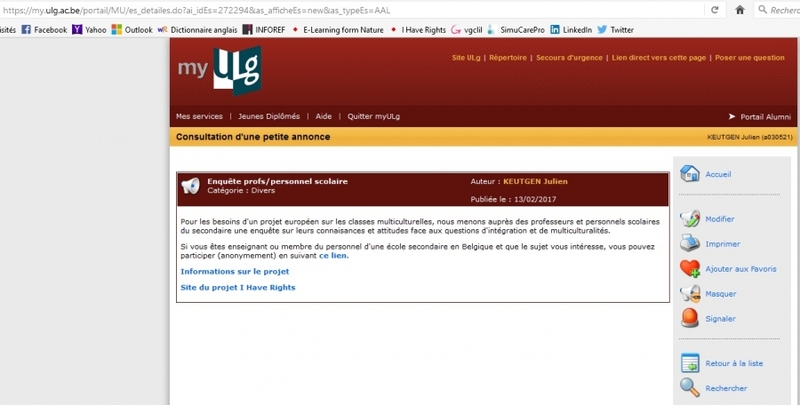 myULg is the University of Liège intranet. 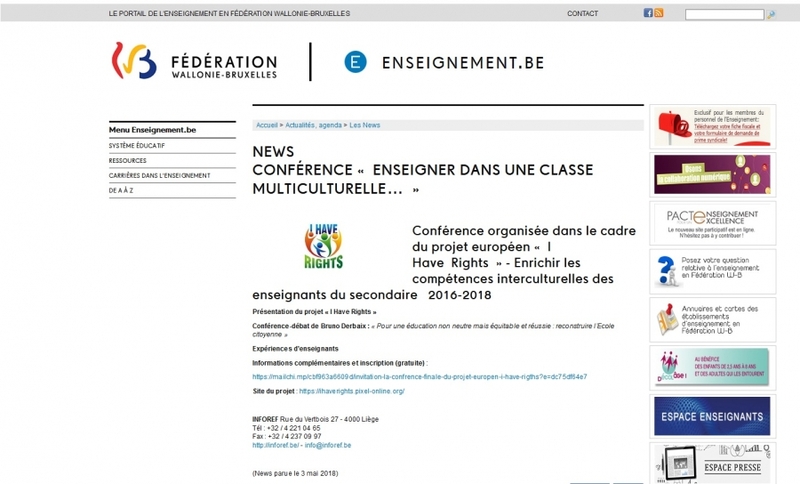 A news about the “I Have Rights” project has been posted, together with a link to the portal and to the teachers’ questionnaire. 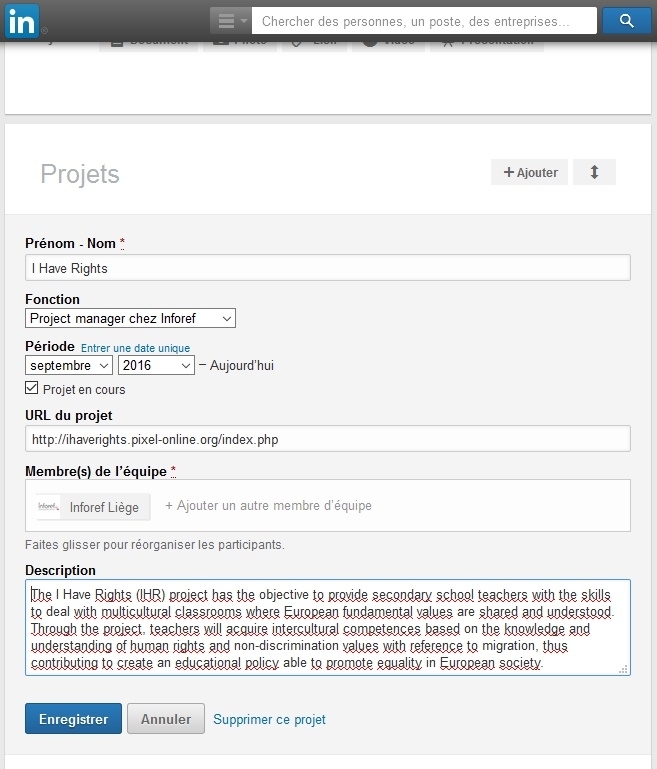 On Inforef’ LinkedIn profile, an article about the “I Have Rights” project has been posted in the list of projects and in the news section. 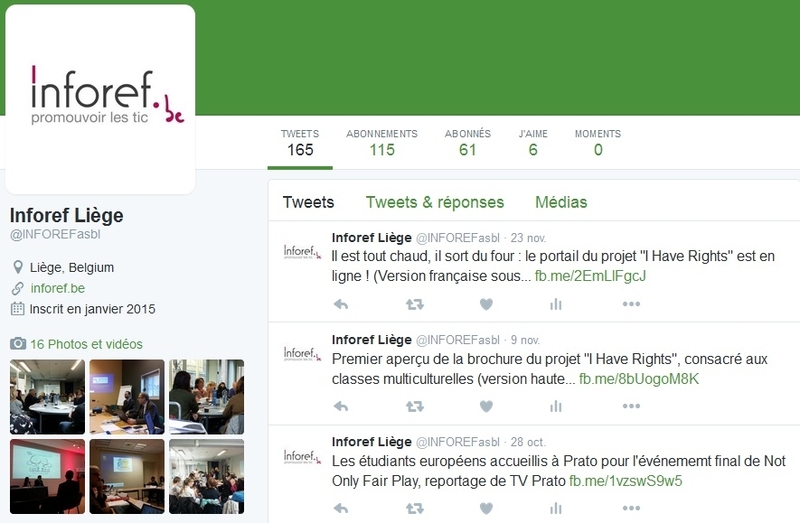 Project information and project portal have been tweeted on Inforef Twitter account. Further tweets will go on all along the project lifetime. Project information and project portal have been posted on Inforef’ Facebook page. Further posts will go on all along the project lifetime. 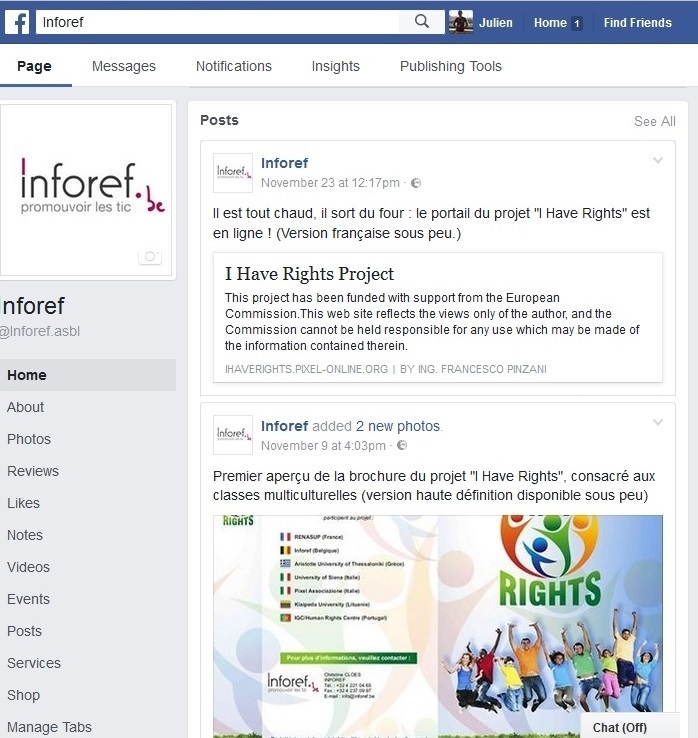 Information about “I Have Rights”, including a link to the portal, is included among the projects of Inforef (English and French pages). A dedicated page with all information about the project has been created. Regular news will be posted as well. After the kick off meeting a post related to the I Jave Rights meeting has been posted on Pixel Linkedin Account. The Istituto Statale di Istruzione Superiore “A. Gramsci- J.M. 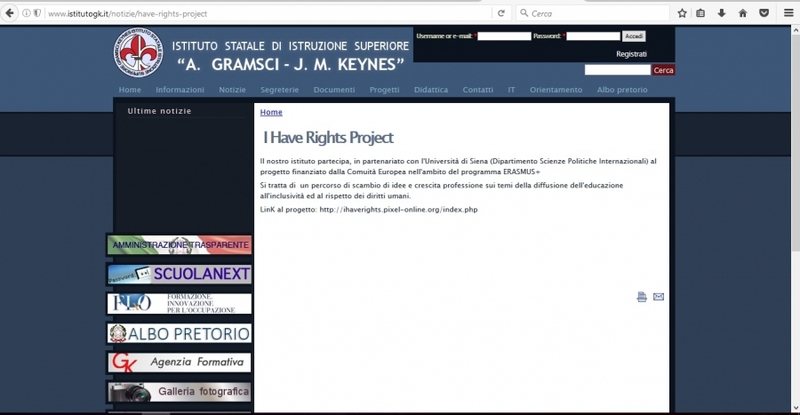 Keynes”, based in Prato (IT), is one of the 5 Italian schools selected by Siena University to take part in the I HAVE RIGHTS project. Istituto Gramsci-Keynes web site promotes the school activities & educational paths, it communicates with teachers, students & their families. 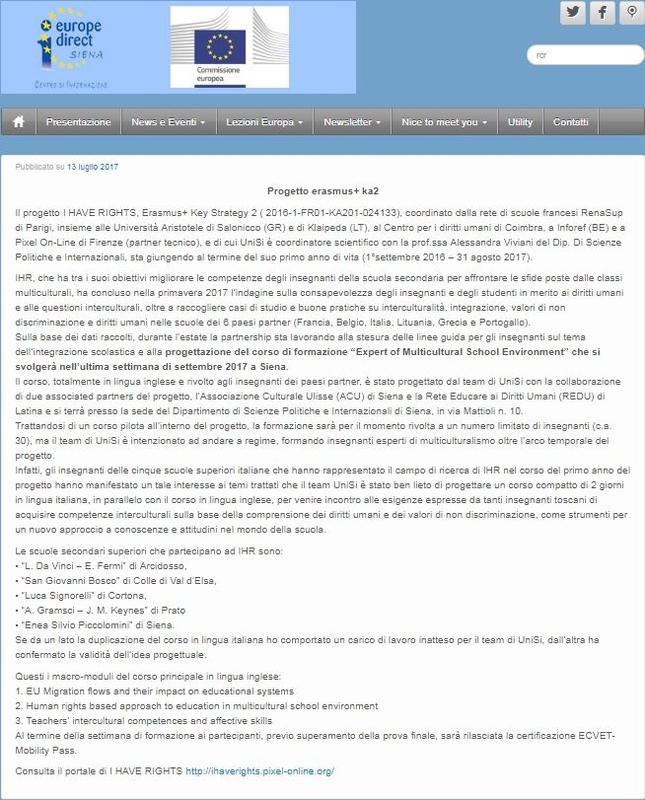 The link to the I HAVE RIGHTS portal was published on Dec 1st, 2016, few days before the first 'open day' of the school, when the school website receives a high number of hits. Pixel is partner in the I Have Rights project. Pixel website provides information about the project together with a direct link to the Portal. 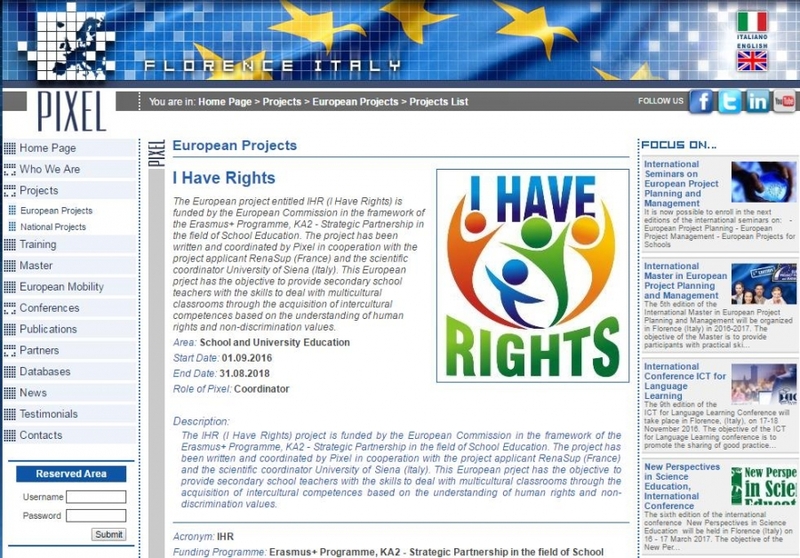 There are many users of Pixel’s website that may now learn about and benefit from the I Have Rights project.